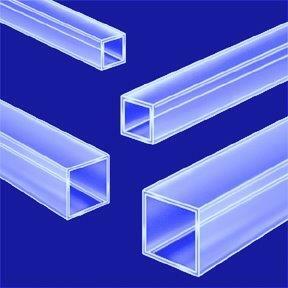 Glass Tubing can be fabricated in many shapes, sizes, specifications, tolerances and materials. The outside diameters can have a frosted, clear or highly polished finish. 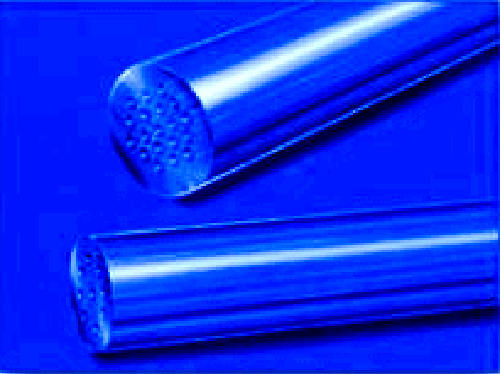 A standard list of tubing is available for faster delivery. 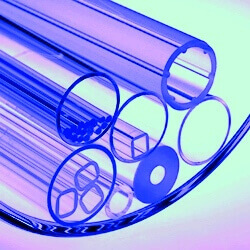 Round Glass Tubing can be fabricated from many glass materials to a wide range of sizes, specifications, finishes and tolerances. These tubes can then be cut to precision lengths with various end finishing. 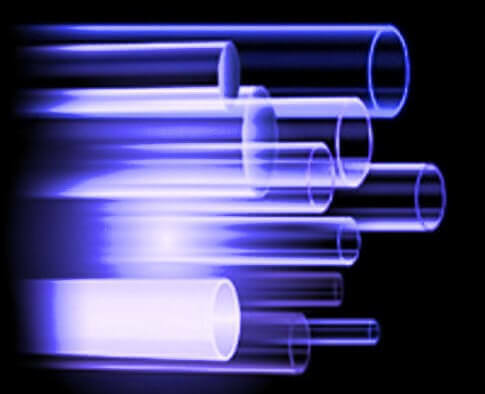 Rectangular Glass Tubing can be fabricated from many glass materials to a wide range of sizes, specifications, finishes and tolerances. 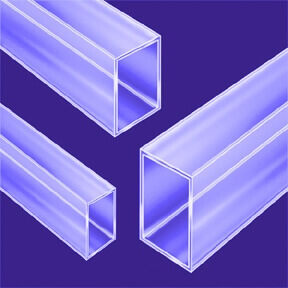 Square Glass Tubing can be fabricated from many glass materials to a wide range of sizes, specifications, finishes and tolerances. When there is a need for multiple inside diameters in any one tube, Multibore Tubing is the answer. Tubing can have 2 ID’s to hundreds of ID’s for separation and filtering, made from either borosilicate or quartz (fused silica) material.